Can't wait to do this one again! The Harlequin Challenge: Claims Open February 1st! The art for this challenge always gets me. It's so wonderful and happy and romantic. And I know it's probably intended to be J2, I mean of course it probably is, right? 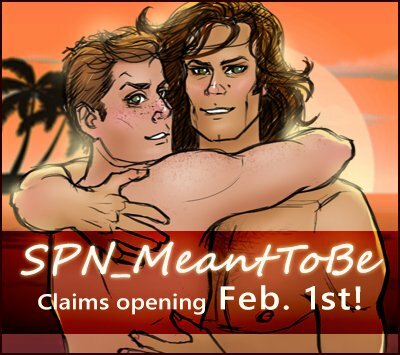 But my wincest-shipper heart so very much wants it to be Sam and Dean. Because they deserve something like this. After everything and with a love like theirs, they just freaking deserve it. That's why I love writing for this challenge. YAY! That one was fun!